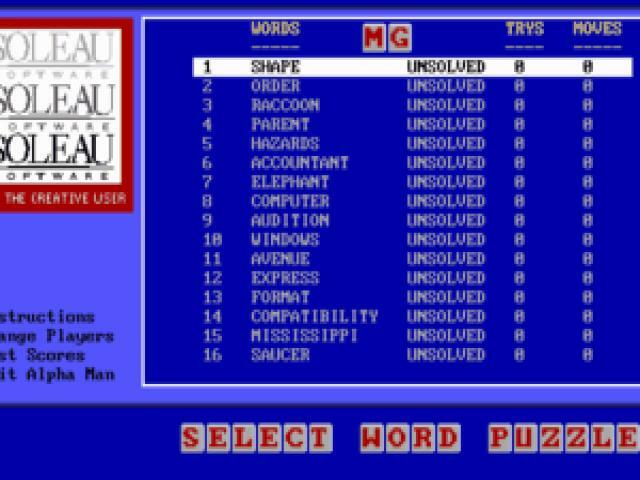 If you enjoy some word-based puzzling and fancy of bit a of change from Scrabble, then this little game could be well worth your time. It's straightforward enough stuff but which is put together with enough style to make it an entertaining way to wile away a grim Sunday afternoon. 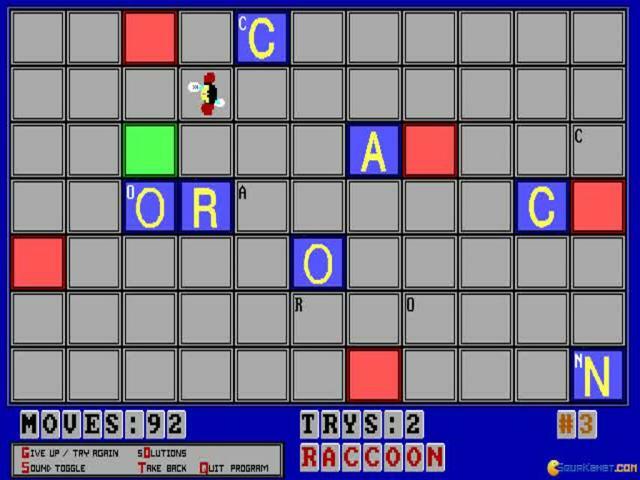 The player is presented with a 7x11 grid, in which are hidden the letters of a given word. 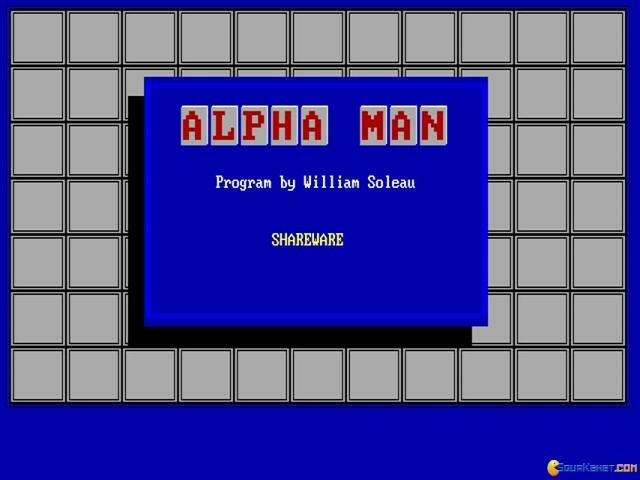 You control the titular Alpha Man who has the handy ability to push blocks around the screen. 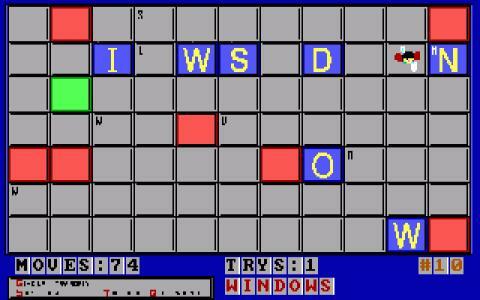 When you push these blocks, which contain the letters, they keep moving until they hit either the edge of the screen or another block. 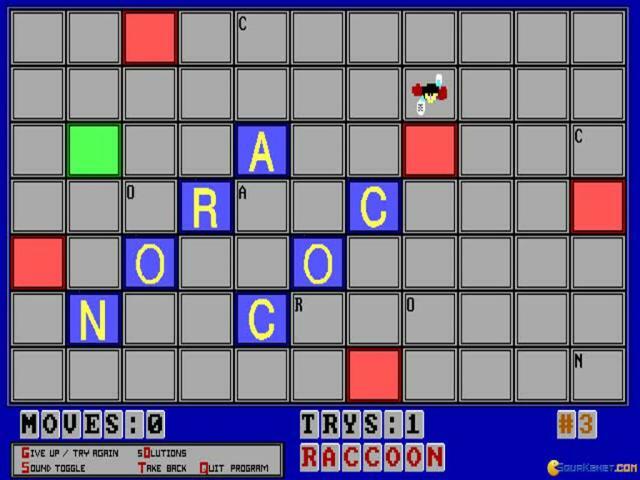 Your goal is to spell out the word of the level by moving the blocks so that they hit the next one in the right order and while this might sound like a simple enough process, in practice it proves to be pleasantly challenging. The game starts out pretty easy, so old hands of things like Sokoban will be right at home here, but it soon gets to the point where much head scratching occurs and you really have to get your thinking cap on. The visuals are nothing to write home about, but that has never bothered puzzlers like Tetris and the lack of graphical flash doesn't really harm Alpha Man's appeal. When you get down to it, it's the gameplay here that is the star and what's on offer is undeniably addictive. It might not sound like much on paper but when you start pushing those blocks around, you'll discover just how compelling the essential idea is and thanks to the clever level design, it provides enough entertainment to keep you going for some time.